The Linear Power Double Feed Shaker is our latest G force advance to achieve high performance during the most challenging applications you encounter. Simplicity and low maintenance is our top priority so you can focus on high quality output with reliable products. The 8″ hydrocyclone is capable of finer, sharper particle separations at high capacities with fewer cyclones needed. 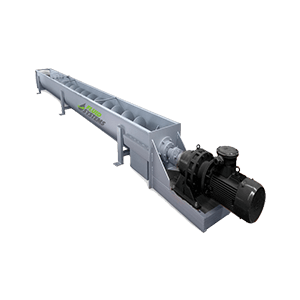 It operates higher feed densities using the same separation size and/or lower cyclone pressure speed normally performed. Our hydrocyclones desand and desilt in a single step. The savings from lower drilling fluid costs and lower maintenance overtime keeps the HP eLiminator in high demand. We have manufactured our own line of screen panels in Houston, TX USA for more than 30 years with an unmatched selection of OEM screen panels in stock and ready for fast delivery. A new lightweight frame with increased support creates better “G” force transfer to the screen surface and reduces flexing between support members . Gold, platinum, coal, clay, phosphorus, iron, sand, clay, and quartz. Various mining companies have found our linear vibration screens to be effective in processing their products. 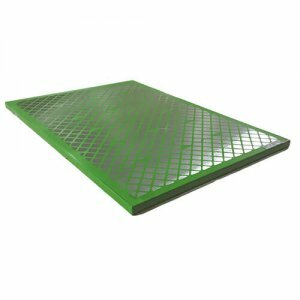 Our applications include safety screens, sizing, dewatering, desliming, rinsing, washing, trash screens, fines recovery systems and dry/wet screening. 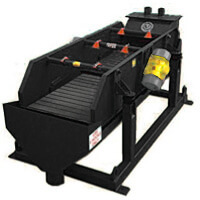 “We recommend FSI solids control equipment as they are very reliable with competitive pricing. Their shakers provide excellent performance and are very easy to install. The screens are very easy to change out and have a long life…and durability with no maintenance and no need to grease.” Phillip Chalress, Jr., Purchasing Manager at Key Energy Services, Inc.